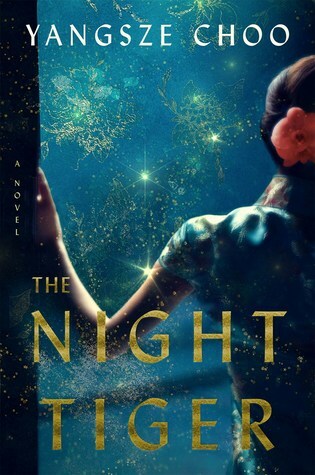 The Night Tiger is a wonderful blend of literary fiction and genre fiction — involving everything from historical fiction to magical realism. The Night Tiger centers around the intertwined lives of Ren and Ji Lin, who both live in 1931 Malay. Ren is a houseboy who served a Western doctor… before he took sick, plagued by hallucinations of being a tiger before his death. He’s charged Ren with finding his missing finger so that he will be buried whole and his spirit put to rest. Elsewise, he might continue to prowl the world as a stalking tiger. Meanwhile, Ji Lin is a young woman who dreams of being a doctor, although that seems impossibly out of reach given the gender prejudices of the era. Instead, she’s a dressmaker’s apprentice who moonlights as a dancehall girl to help pay off her mother’s debts. When one of her patrons leaves behind a preserved finger and dies soon after, Ji Lin becomes enthralled in the mystery of finding its true owner. I was familiar with Choo’s work from her previous novel, The Ghost Bride. Truth be told, I think I preferred The Ghost Bride to The Night Tiger. However, The Night Tiger still had the vivid, atmospheric prose I love and a strong heroine at its center. Ji Lin is easily my favorite character in The Night Tiger. She struggles with constraints of propriety (her reputation would be ruined if anyone found out she was dancing with strangers for money) and being an intelligent girl in a time and place where that isn’t valued. To top everything off, her mother remarried when she was young to an abusive man. While he’s never hurt Ji Lin, she’s seen what he’s done to her mother and stepbrother. The Night Tiger obviously involves some Chinese and Malaysian mythology. This varies from the titular tiger and legends of shapeshifters to number associations and characters named after the five Confucian virtues. These five (which include Ji Lin, her stepbrother, Ren, and his dead twin) have fates that are somehow intertwined, all parts of a set they didn’t know they belonged to. But who is the fifth? There’s also a murder mystery aspect to The Night Tiger that sort of snuck up on me. Eerie deaths haunt the book. From Ren’s master to the salesman with the finger, a number of people die mysteriously. How do these events connect? Do they? While I would still recommend The Ghost Bride over The Night Tiger, that doesn’t mean The Night Tiger isn’t well worth reading. It’s an enchanting tale that quickly immersed me in 1931 Malay and Ji Lin’s life.